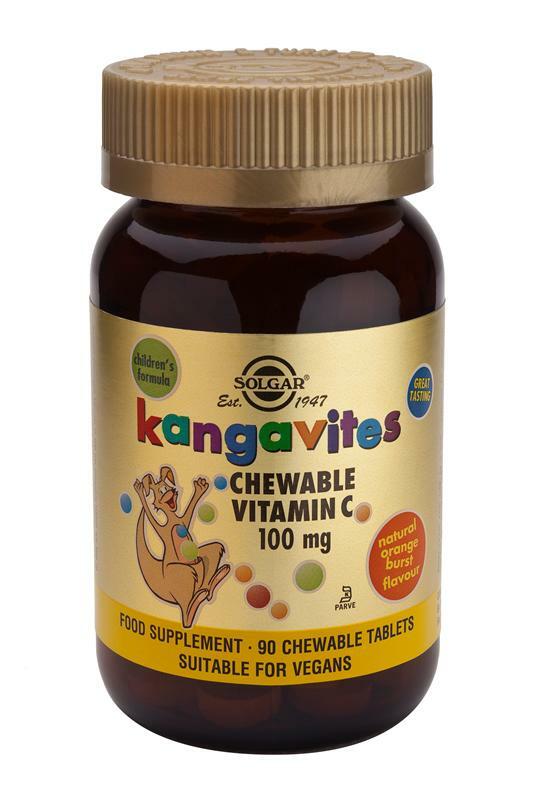 Kangavites Chewable Vitamin C 100 mg Tablets Natural Orange Burst Flavour is one of Solgar's premium-quality award-winning children's Vitamin C products. SUGGESTED USE: As a food supplement for adults and children ages three and older, chew one (1) tablet daily, or as directed by a healthcare practitioner. Do not exceed directions for use. If you are pregnant, nursing, taking any medications or have any medical condition, please consult your healthcare practitioner before taking this product. This product requires adult supervision.